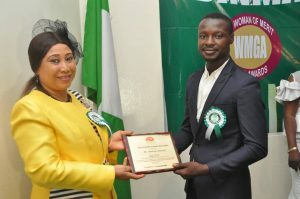 Oladayo Afolabi is a highly innovative and enterprising Nigerian. He has made success out of an aspect of engineering which many building and water engineers would ordinarily not emphasise. Oladayo is the Founder and Project Director of RainCache Ltd, an innovative rainwater management company which designs and installs bespoke systems to manage rainwater on residential, commercial, agricultural and industrial developments across Nigeria. Dayo Afolabi has been a long-time contributor in the drive to build a more sustainable human community. His extensive involvement has included participation in everything from proposing directions, tracking down better ecological measures, and designing rainwater control systems. He is indeed, one of the pioneers of innovative and sustainable surface water systems in Nigeria. Dayo Afolabi has acquired a great deal of acclaim and recognition for his contributions to the construction industry and is inspired by the drive to build an even more viable community. His strong public service commitment has enabled him to lead RainCache Ltd in the delivery of rainwater management services to over 500 high-profile clients across Nigeria. A professional instilled with a strong sense of responsibility and unshaken work ethic, Dayo has managed to cultivate a culture renowned for exceeding the expectations of his clients and stakeholders alike. 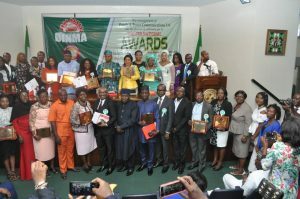 His efforts in the development of a sustainable and a better Nigerian society are deserving of all the acclamation, recognition and awards. 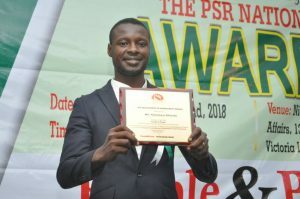 It is in recognition of his accomplishments in the Design and Installation of Rain Water Control Systems In Nigeria that Mr. Oladayo Afolabi is deemed worthy to be conferred with the Development In Nigeria Merit Award which is part of the PSR National Awards 2018. Oladayo Afolabi: Innovative Rainwater Management. Rain water harvesting (RWH) is a technique of collection and storage of rainwater into natural reservoirs or tanks, or the infiltration of surface water into subsurface aquifers (before it is lost as surface runoff). 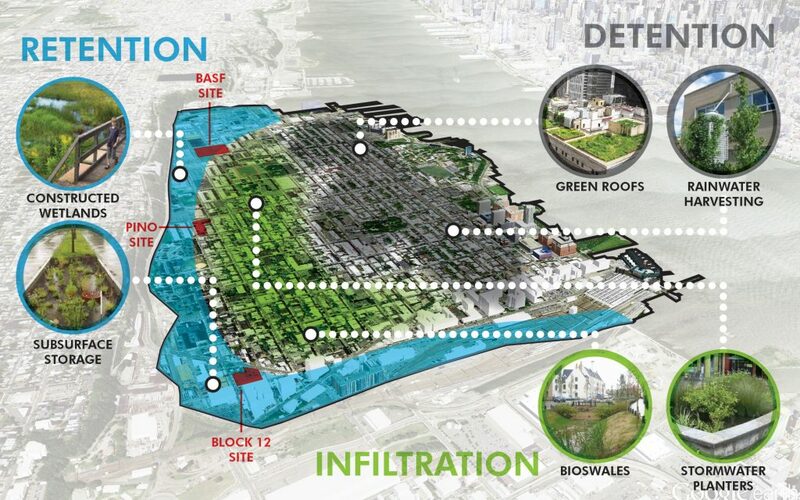 One method of rainwater harvesting is rooftop harvesting. With rooftop harvesting, most any surface — tiles, metal sheets, plastics, but not grass or palm leaf — can be used to intercept the flow of rainwater and provide a household with high-quality drinking water and year-round storage. Rainwater harvesting is an innovative alternative water supply approach anyone can use. RWH captures, diverts, and stores rainwater for later use. Rainwater can be used for nearly any purpose that requires water. These include stormwater control, rain gardens, landscape use, in-home use, agricultural use, industrial use and fire protection etc. In areas where water supply is problematic or water resources are scarce, rain harvesting is a good solution. It reduces the dependency on groundwater for uses such as landscaping, toilet flushing, laundry etc, easing the pressure on well, bore hole, public water systems; and reduces stormwater runoff peak flow and volume. 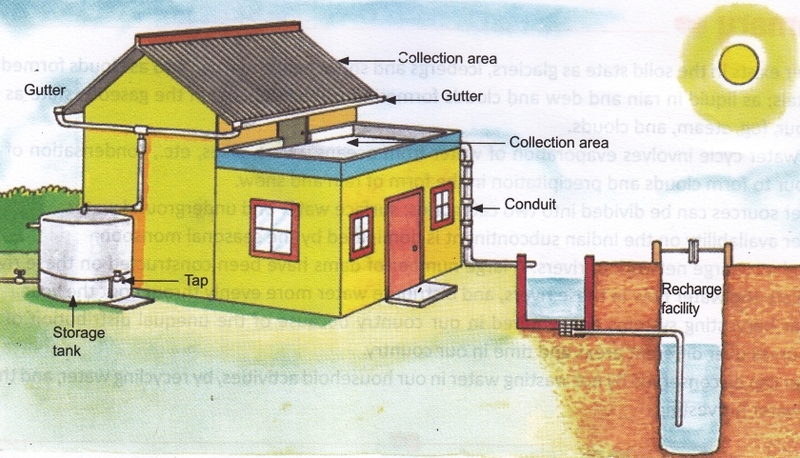 Rainwater harvesting can provide clean water-supply for a small community. Especially when pipelines are too expensive to set up and one central well or pump cannot be used all around the year, a rainwater catchment system is a workable solution. By collecting and using rainwater, you can also be assured that you have some of the cleanest, healthiest water available, as it will not have been treated with chemicals as the water that comes from your taps will have been. Storm water (rainwater) is water that comes from precipitation and ice/snow melt – it either soaks into exposed soil or remains on top of impervious surfaces, like pavement or rooftops. Stormwater will eventually evaporate off of a level surface, but most often it flows as runoff to another location. Storm water (rainwater) runoff is any water running off a land surface before it reaches a natural water body. It occurs when the rate of precipitation is greater than it can infiltrate, or soak, into the soil. Runoff also occurs when the soil is saturated. Runoff remains on the surface and flows into streams, rivers, and eventually large bodies such as lakes or the ocean. Movement of this storm water(rainwater) across the soil causes erosion. It can also carry and deposit untreated pollutants, such as sediment, nutrients and pesticides, into surface-water bodies. Impervious surfaces such as driveways, sidewalks, parking lots and streets block rainfall and other precipitation from infiltrating naturally into the ground, leading to even more stormwater and potential pollutant runoff. Most of the world water problems such as flooding, drought, water pollution, water shortage are all related to rainwater. Due to climate change and urbanization, water problems are increasing throughout the world in both developing and developed countries. By proper rainwater management, we can reduce the risk of such problems and enhance the resilience. One of the solutions designed to manage storm water (rainwater) is Rainwater Harvesting. Rainwater Harvesting (RWH) offers a small-scale best management practice to reduce stormwater runoff and the problems associated with it. By harvesting the rainfall and storing it for later use or direct groundwater recharge, water is slowly released back into the soil and then moves into groundwater table, providing a steady supply of water to local streams and river. Rainwater harvesting can be used to achieve a source control of rainwater, as it significantly reduces the peak flow and volume of rainwater runoff. Collecting and Using rainwater strengthens the hydrological cycle, reduces storm water runoff and limit the demand for water from well, lakes, reservoirs and rivers. It’s a self-sufficient renewable water source that eliminates the need to rely on water treated with chemicals.